Spice 6 – A name synonymous with Arabic & Lebanese cuisine and one of my favorite places in Hyderabad which I visit quite often with friends and family alike. 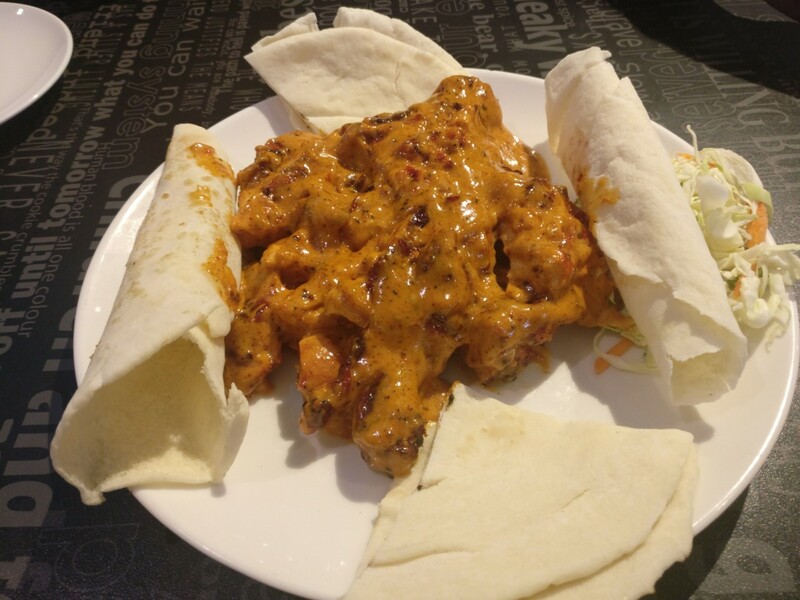 Started in August’14 by Mr. Khaja Yousuf who is quite well known in the culinary world for being associated with Mak’s kitchen earlier and also running Woodbridge hotel’s food and beverage section. 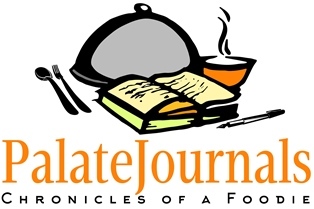 He has also undertaken food and catering orders across India for big corporate houses, parties, marriage functions , concerts etc. It is easy to locate on the banjara hills main road opp.the old music world which got closed,I was amazed at the ambiance. Good seating capacity, brightly lit , very tidy . they also have Family section on the first floor. 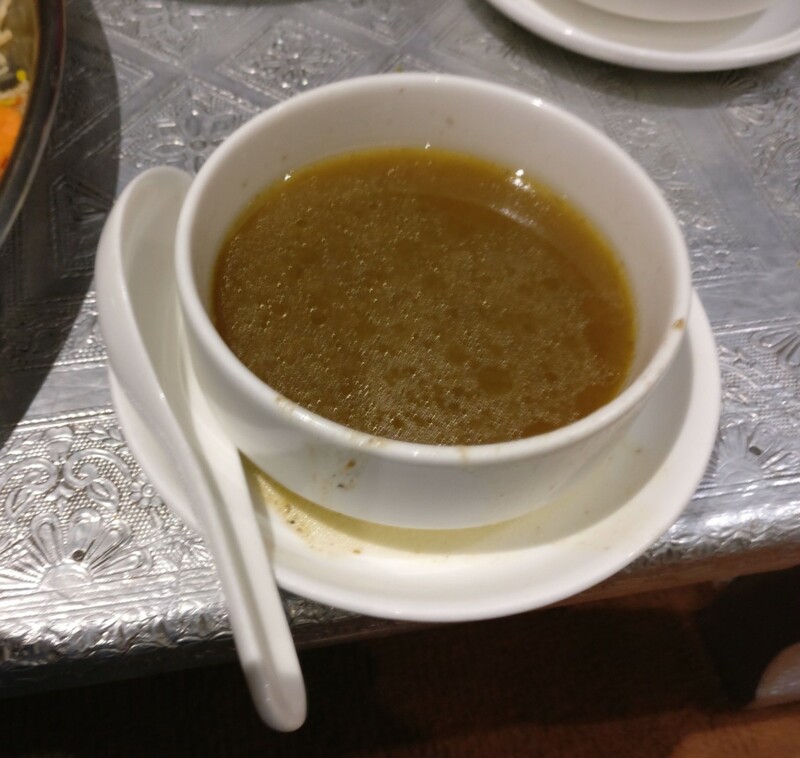 Saudi Champagne (non-alcoholic) – It was one of the most amazing drinks I have ever tasted . It is a mock tail of sorts , didn’t get info about the recipe to make it but it has orange, apple pieces in it among other stuff. Tried the chicken shawarma and having had it across Hyderabad I would say that they make the best one with soft pita bread , good amount of chicken , fresh garlic sauce provided. Nothing else could scream satisfaction more than this. Similarly, you get mutton shawarma as well. 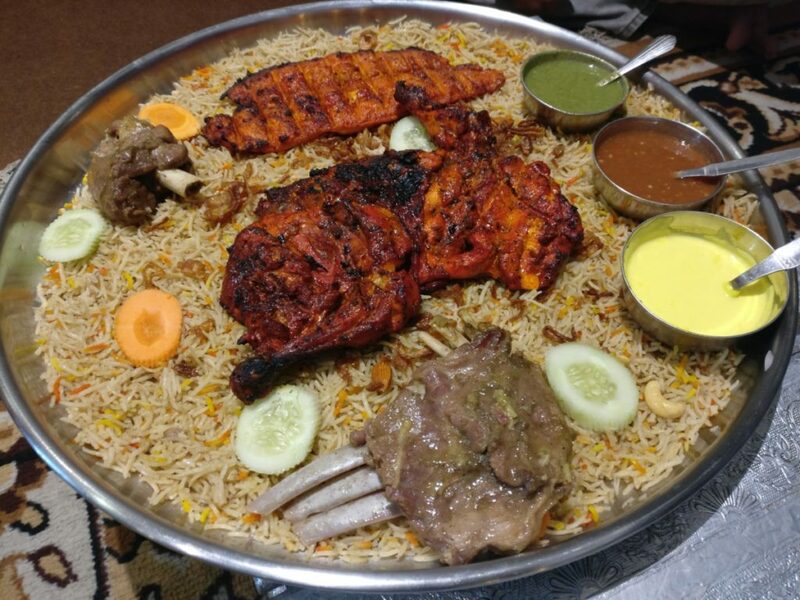 Kebab platter – we ordered for mixed platter(Fish,Prawn, Mutton,Chicken) – We got Grilled mutton which was superb, saute prawns which were good, grilled fish was succulent and moist -its flavor was nice , Murg Nawabi kebab – was one of the best I ever had. 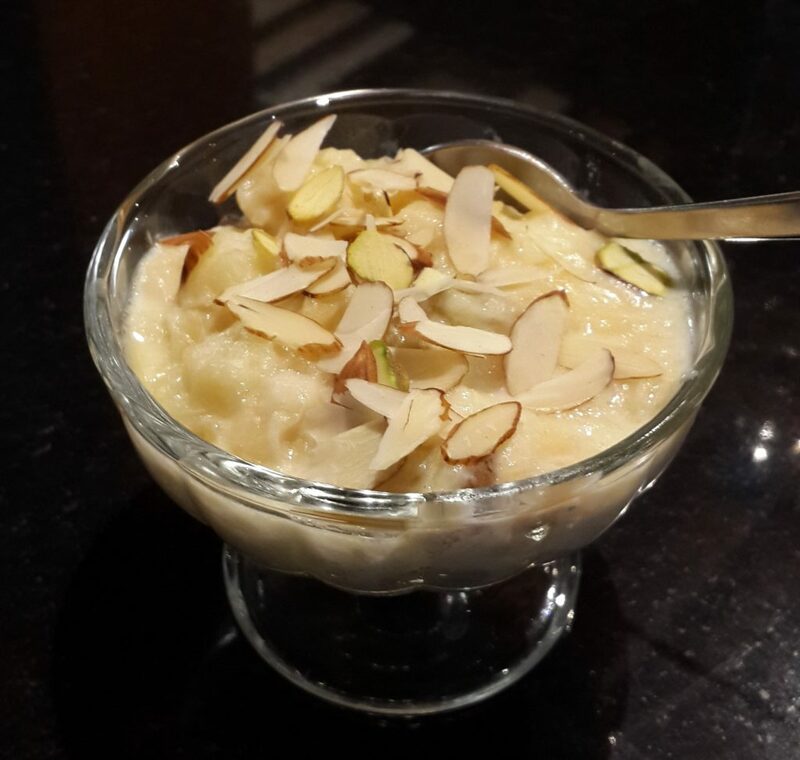 Coming to the main course it is and always will be Khabsa Laham – One of the best you can ever have. 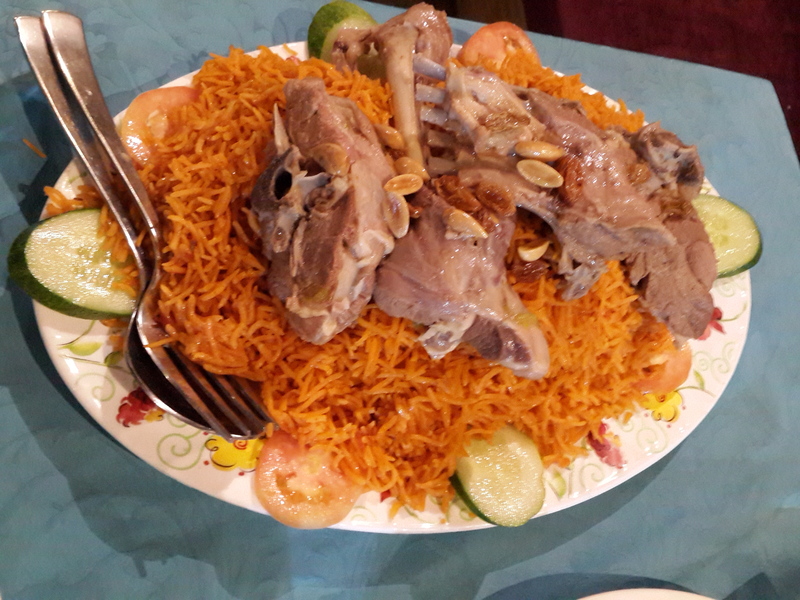 Saffron colored rice with dry fruits and a piece of mutton placed on top of the rice is by itself drool worthy. 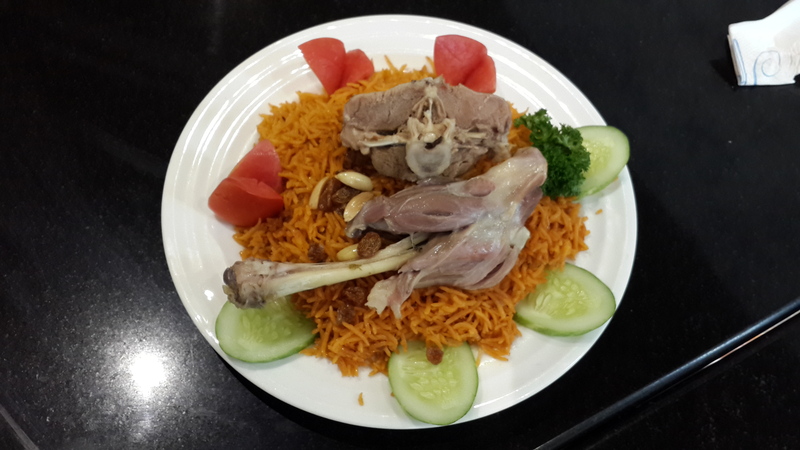 The meat is so soft and succulent that if you lift the mutton piece the bone falls off from it. 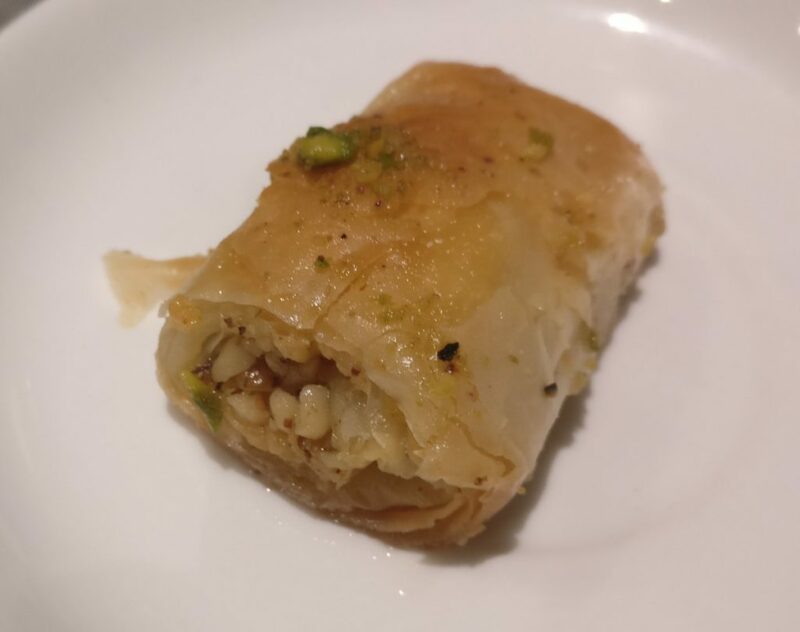 Amazing range of desserts, Hugely popular Baklava is available in two varieties ( Baklava & Finger Baklava) they are superbly tasty I might add. Tried their Badami Kheer , Kunafa, Sitaphal rabdi all were superb.